It’s 2018. Me Too marks its first anniversary, Hannah Gadsby is a cultural phenomenon and 70% of people facing daily injustices and poverty are women. How do you recast the role of women in crisis response? Women and children are disproportionally impacted by disasters. Yet in times of crisis, women’s leadership regularly goes unrecognised and their voices unheard. This is despite the fact that women are often the first to take action in rebuilding communities and creating lasting change. For 40 years, ActionAid has been working for women’s rights from the grassroots up. Seeing the potential for smarter crisis response, they set out to launch the first global fund directly supporting women-led emergency preparedness and response. Turning crisis response on its head. Recasting women from victims to leaders. It’s a simple switch with transformative impact. This concept was brought to life by taking a symbol of crisis – the exclamation mark – and flipping it. The name Arise was chosen as it not only speaks to the ascendance of women, but has the brand symbol right at its heart. The brand plays with the idea of flipping, transforming well known phrases and coming to life in motion. The Arise Fund was launched as part of the ‘She is the Real Hero’ march on World Humanitarian Day. 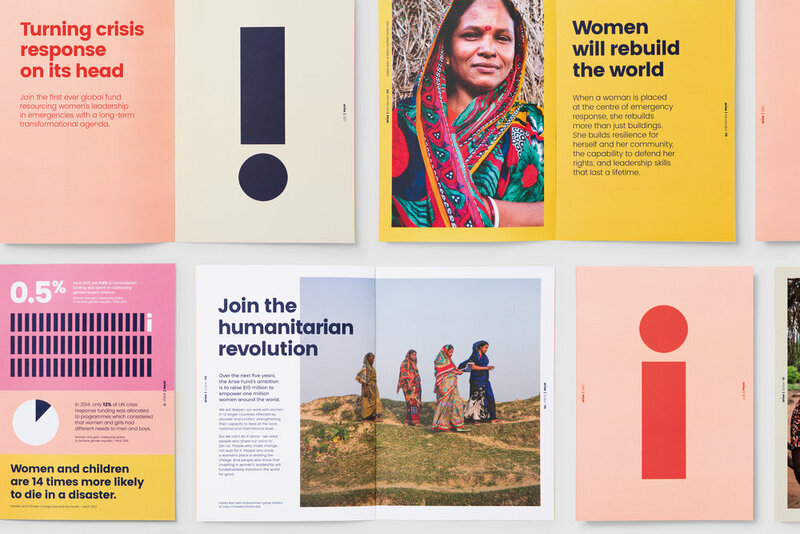 Posters, badges and totes were created, all carrying a message of equality, to celebrate the real heroes on the front lines of crisis response around the world. Since launch, the Arise Fund has supported emergency responses in Haiti, Somaliland, Nepal and more recently the Rohingya Crisis in Bangladesh. The brand has made its mark on social media, with a 164 per cent increase in social media impressions a month after launch. The brand has also helped attract a high-profile group of women to form the Arise Leadership Circle, whose job it is to reach the fund’s ambitious goal of raising $10m in five years. You can donate to the Arise Fund here. We are back after a wonderful weekend in Melbourne attending this years AGDA Awards evening. Last weekend, we hopped across the pond to attend the Best Design Awards in New Zealand. Needless to say, we were thrilled when several of our projects were recognised. 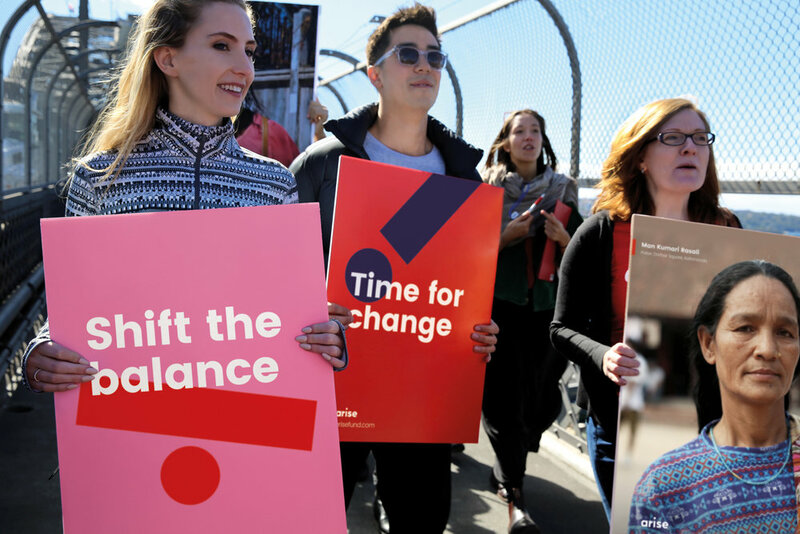 On World Humanitarian Day, ActionAid Australia did something no one has done before – launched the first-ever global fund for women’s leadership in times of crisis, the Arise Fund. As part of the launch, we took part in the ‘She is the Real Hero’ march to celebrate the real heroes on the front lines of crises around the world.